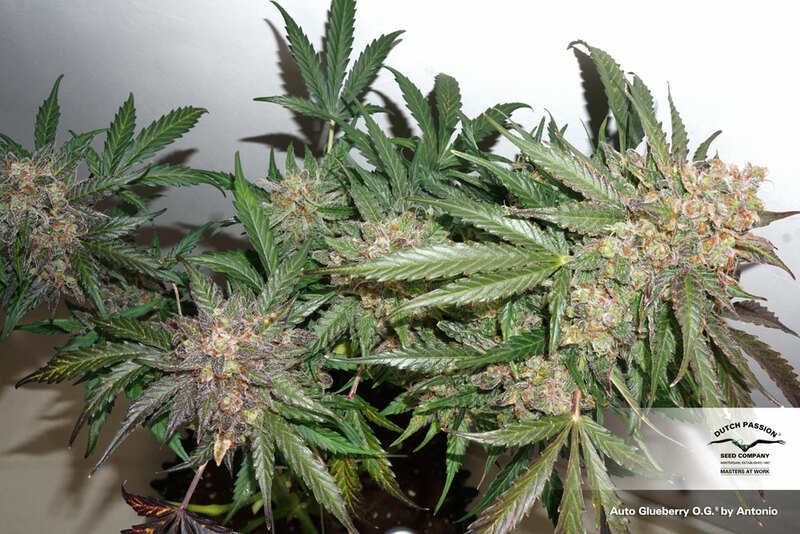 Auto Glueberry O.G.® is the autoflowering version of the hard hitting, resin dripping photoperiod Glueberry OG. To turn Glueberry OG into an autoflower, we crossed (Gorrila Glue x OG) with the original Auto Blueberry to ensure the same taste and effect as her photoperiod sister. I grew her once, I immediately grew her again The high is just stunning. Complex, relaxing, deep and long lasting. The best I’ve ever had. Yield is heavy, rock hard buds of the best smelling weed. She is very uniform, there are only slight differences in smell and stone, not in height or yield. This strain should wear a warning that beginner growers and blowers can get way to heavy yields of weed that’s way to potent for them! Hi there . I was chosen/given as a test grower and gifts .for a few of your strains on THCtalk.com Just want to know if these Glueberry OGs are F1 or ? I also have AUTO nightqueen Auto orange bud Auto colorado cookies What generation are those ? The auto colorado cookies were given for a test run in Our 2L pepsi bottle challenge . I am 100% true organic grower . I will however do test runs in coco for my first time . What’s the yield on this strain? I got 200+ grams from this plant topped once, and lst. Just pulled 90g best smelled ever stash of this strain. So fruity and fresh ! I love this one. 11l pot in coco. 77 days. Hi Eddy and thanks very much for replying to my previous questions on your website. I have seen somebody comment hear that this train is extremely mold resistant. And that is what I wished to ask you about. I have decided on a selection of your autos for this summer. At the moment we are definitely doing Brooklyn Sunrise (for first time) and Nights Queen (3rd year running). The Night Queen is a great outdoor UK strain, a consistent fast and early flower which is always done before the rest practically. Also generally very mould resistant although with one of the phenotypes last year we had a serious insect problem the other one has no problem at all as it was a much more open structure. The Sunrise looks perfect for us regarding mould and pest resistance. So I just need to choose one more strain and I was originally leaning towards a sativa dominant. 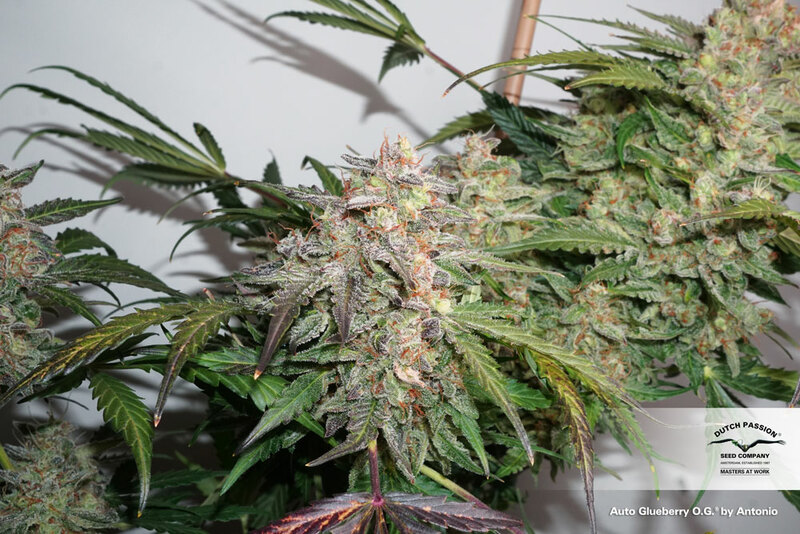 Your auto Durban poison is also another excellent outdoor strain which does extremely well in this climate usually with very good mold resistance and rarely a problem with insects. It is only because the Sunrise sounds like it has a fairly cerebral effect and the Durbin is one of the most if not the most cerebral and clear headed autoflower strains I have tried. Generally Eileen towards sativa because I suffer from chronic fatigue conditions and indica can be quite debilitating for me. So the obvious choice for the 3rd strain would be your auto Durban poison, except for the cerebral balance of the Brooklyn Sunrise. As a result I am torn between Durban and the auto Glueberry. However I would be concerned that the Auto glueberry may not be mold and insect resistant enough. The poster below also said it was not such a year yielder, but others report differently. Any insight you can offer Eddie will be massively appreciated many thanks and take care, Alexis. A nice strain, not so much of an yielder, but the strain is extremely mold resistant, takes drought easy and it's nice to grow both indoor and outdoors. Hi Eddy! Whats are the THC levels in this strain? Is there much of a body trip to this strain? What might be the CBD range?